Lewcam is authorized under the Alberta Boilers Safety Association to perform repairs and alterations to pressure vessels, as well as construct, alter, and repair coil tubes, power and process piping. Not sure if your vessel or tube needs repair? 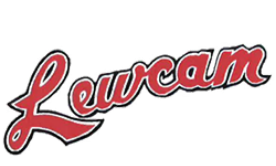 Lewcam has certified MPI, LPI, and API 510 inspectors on staff. With the ability to supply crews, and pickers for rig out to sandblasting, inspecting, repair and coating, Lewcam is your one stop for your repair and alterations needs. Under strict time constraints? Lewcam is available 24 hrs a day, it is not uncommon for us to have turnaround times of less than 24hrs for simple inspections and/or repairs. Feel free to view our Certificate of Authorization, and a gallery of just a couple jobs we have completed, from simple sandblast and inspect, to complete head replacement on a separator, no job is too big or too small.